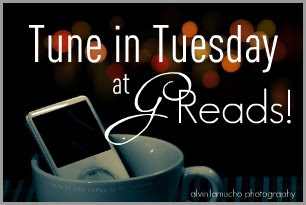 Currently Obsessed With…Blind Pilot [Tune in Tuesday] – my books. my life. That IS where I heard it. I’ll have to stop by Jess’ blog later. I also tend to play the same song or songs over and over again until I burn out on them, so I can relate. Thanks for sharing this one with us! I have found so much great music from reading these posts! I actually thought of you when posting this thinking you might like it (knowing your love of Silversun Pickups). Ben of Tyrus Books introduced me to this band, and I LOVE them. I actually saw them in concert in the fall, and they were really unbelievable. I love it! I typically have listened to r&b in the past so I’m a novice when it comes to any other music, lol.